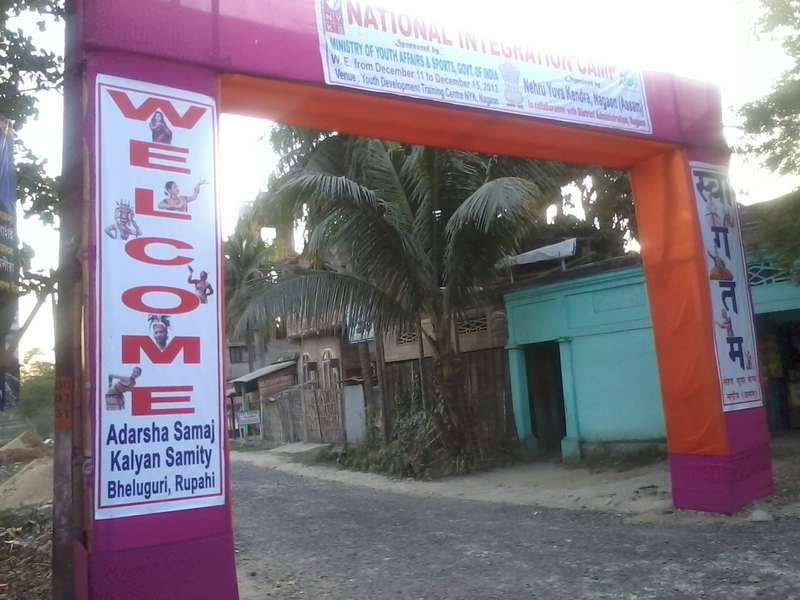 The ADARSHA SAMAJ KALYAN SAMITY, Beloguri, Natun Bazar, Nagaon, Assam is a non-political, non-communal, state level Govt. Regd. Voluntary Organization of the district. It was duly formed on 1992 and registered Under Societies Registration Act 1860 of XXI Vide Regd. No-2411 dtd. 23rd September/1992. The organization is governed by a strong Executive Committee duly consisted with 10 Nos of Executive Members Elected /Selected by the norms of its constitution. The Organization is conducted by the President and Secretary of the organization as a chief officious of Administration. The Organization organized its regular meeting and resolves decisions in respect of its Development activities under taken. Since inception the organization has been conducting a lot social development Activities in its jurisdiction with its financial sources and with the cooperation of community people and under help of various organization and govt. department etc. these are like socio-economic sector community welfare sector skill dev. 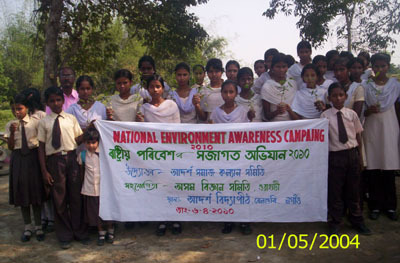 Sector health and environment sector, educational sector women and child dev. Sector, elder care sector, youth and sports sector and labour dev. sector Etc. The organization under taken various types of activities from its sources to up grate the normal status of the poor’s and backward classes among community. It has been conducting the following activities in its jurisdiction till this year from its own sources these are like , Establishment of Educational institute to provide primary and secondary education for poor students among community, Vocational education on cutting tailoring and weaving sector, conduct a computer training centre for unemployed youth, establish a fish firm for fish production, conducted a agro firming unit for crops and vegetable production, establish a youth dev. Centre for empowerment of adolescents, conduct sports dev. Activities, conduct health programme women and child development. Conduct a coaching centre for minority , ST and SC youths, conduct health program for community health, conduct income generation activities for the educated unemployed youths, conduct community services for environment development, conduct training on disaster management, conduct awareness on HIV/AIDs/STDS and other epidemics etc. New Delhi, conduct a National Integration Camp for youths at with the financial help from Ministry of Youth Affairs and Sports, Govt. of India, New Delhi, conduct scholarship program for minority school student with help of Assam State minority Development Deparment. Govt. of Assam. 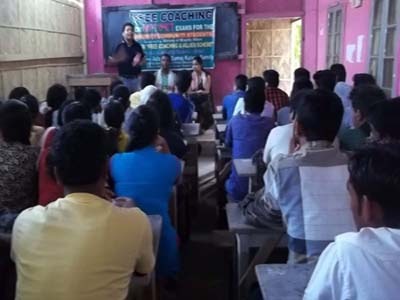 Conduct a work camp of youth at Beloguri, with help of Nehru Yuva Kendra Nagaon, and Scholarship programme from Welfare of Minority Development Departments etc. The organization has been submitting the following project proposal to the Govt. of India, for consideration of financial aid. 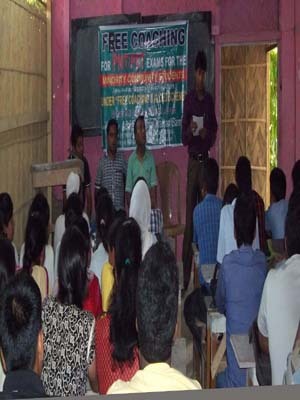 These are like One STEP project on HEALTH SERVICES at KALIBOR sub-division under Nagaon. 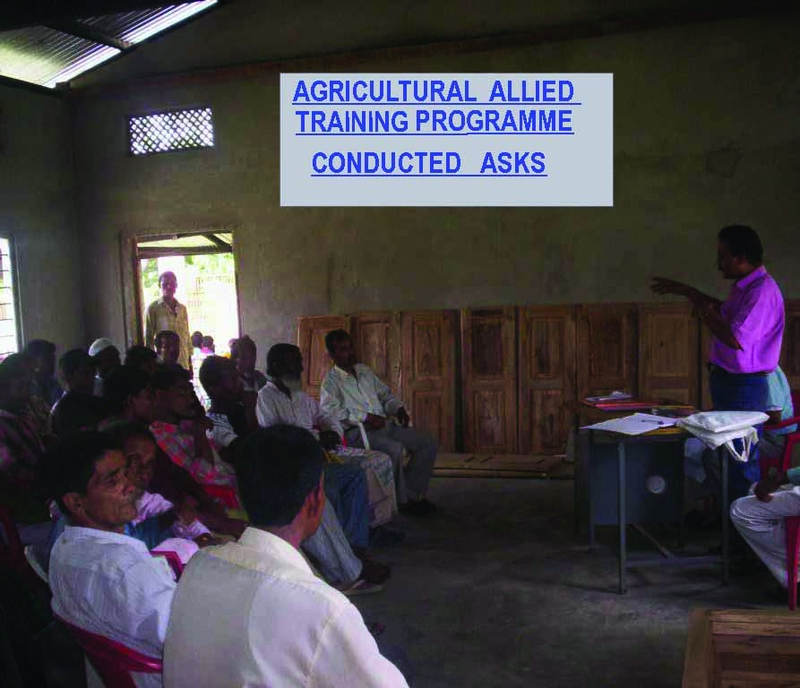 One Minority coaching and allied scheme at Nagaon. One Ujjawal Project at Nagaon for trafficked women, One multi facility care centre for widow women at Nagaon, one SWADHAR project at Kaliabor, One innovative project on Wastes Material at Nagaon. One PNDT Act health awareness project, Road Safety Programme, traffic Awareness Programme, Consumer Awareness Programme at Nagaon . The organization has been maintaining all the records related to each activities conducted since its inception. Its has maintain various accounts accordingly and maintain registered of its beneficiaries of various schemes conducted. It has been conducting its bank account at State Bank India, Khutikuti Branch, Nagaon and transiting its funds with the principle of joint transaction by its president and secretary as per norms of its constitution followed. Its has own administrative and registered office at Beloguri, Natun Bazar, Nagaon, and maintaining its activities under taken.